I received this lovely review of my show in London. Full disclosure: the author, John Rutherford, is a friend. Eva Moon performed her show ‘The Mutant Diaries: Unzipping My Genes” (http://mutantdiaries.com) in Kensington, London, on Thursday 13 June 2013. I was in the audience. I saw an excellent show combining truth, humour, sadness and music that I will never forget. The show was a fundraiser for Macmillan Cancer Support. Eva is an American musician and she calls herself a ‘mutant’ – like Angelina Jolie, she’s an entertainer who was told she needed massive surgery to avoid the very high risk of cancer caused by the BRCA1 mutation. During 2012 she elected to have a total hysterectomy, and then a double mastectomy and associated reconstruction. So far, so terrible, you’re probably saying. Thousands of women face this dilemma every year, and the number will increase as diagnostic tools improve. 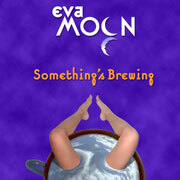 What makes Eva Moon different is that she has written a one-woman show about it; and it’s sensational, life-changing stuff. As a man you might think that all the stuff about women’s bits would leave me feeling uninvolved somehow, but such is the charisma of Eva’s personality and her engaging style that this show affected me enormously. I laughed; I felt the prickle of tears a few minutes later; then after a moment I laughed again. It’s an emotional rollercoaster which mirrors Eva’s own experiences. Who is this show for? 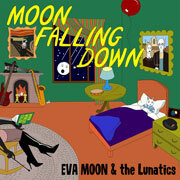 Well, Eva’s musical and storytelling talents give her the ability to spin her true-life tale in an engaging and memorable way which will appeal to individuals facing the BRCA dilemma or similar issues; their families, friends and carers; and health professionals dealing with people in these situations. These people will find this show entertaining and informative. Having said that, an audience does not need any specific connection to the ‘world of BRCA’ to enjoy this show. It’s a human story, it’s a woman’s story, told with music, warmth and humour. See this show – you’ll remember Eva Moon and her piano for a long time. I know I’m not alone when I say I hope to see her back in Europe soon; until then she’s touring the U.S. and aims to bring out a CD of ‘Mutant Diaries’ in late summer 2013.